I'll update this page with as much recent info as I can, feel free to link this page to everyone you know who plays the game. This guide is an ongoing WORK IN PROGRESS, stuff in red means I am not 100% certain on it yet. 7/26/14 UPDATE:Well, it looks like GameSpy has changed something on their end so that our PS2s cannot get the server list anymore. My PS2 froze when trying to use GameSpy. This is pretty stupid though because oddly enough though, the actual server list is still up. People are still hosting on the list and using GameMaster you can still join and play on servers that are still hosted on GameSpy. 12/3/15 UPDATE:Gamemaster has moved hosting locations so the numbers you need to use have changed. Since this is the old BFC site its been awhile since I have updated this. the new DNS numbers are 185.101.93.68 for Europe and 162.243.230.247 for North America. I am adding them into the guide now. Note that my screenshot is wrong now. If GameSpy does actually shut off, we already have a way to play the game forever. This is very easy and only requires you to change one number in your network setting. It looks longer than it is because I was very detailed so no one makes a mistake. As a starting note, to begin turn off your PS2. If your PS2 is already on and connected to SWBF2 multiplayer, you will not be able to access the menus we need to get to. I'll keep this part as short and concise as I can for the people who aren't concerned with what we're doing and only want to get online working, you can read about how and why this works in the FAQ section. If you able to see and join this server you have everything set up correctly to play this game after GameSpy attempts to shut it down. Once this is all done, you should be able to play normally, the only thing that will be different for now is GameSpy login. For now, everyone will need to play without logging in. This isn't really a big deal as all it does is limit the length of your name slightly. I think its even possible for this to be fixed in the future but just being able to play without GameSpy is the main focus for now. Hosting servers on the GameMaster list is similar to setting up your PS2 to be able to join, we have to change the list that the server is hosted on. I will try to cover the 3 main ways of hosting a server. I need more information about how Hypernia works with putting in server mods before I can fully complete this section. What I do know for now is that we need to upload a different version of battlefrontii.exe to the host company, and ask them to use it in place of the older one. I may need to do some talking with Hypernia about this. There are 2 separate ways to do this. I will list them both here. For now I recommend doing the first option as I have more knowledge about how it works. But Mike, I don't wanna download an .exe and run it, I don't trust it . While it is perfectly reasonable to be wary about downloading .exe files, I can assure you that this is not harmful. Both myself and one other person have analyzed the differences between the normal .exe and GameMaster's updated version. All it does is redirect Gamespy.net to Gameshare.info. If you STILL don't believe me you can make the modifications yourself without ever having to download anything. You will to open battlefrontii.exe using a HEX editor and you will need to make these three changes. Make sure that you have your HEX editor setup in such a way that 0=null. With this modification, your sever will be up on the GameMaster list. WARNING: I have not tested this yet, and it is possible that this host file is incorrect right now and will only work for SWBF1. I strongly recommend using option 1 until I am more certain about this one. Now this option is pretty much the same thing, but instead of making a change to your .exe file you make a change to a different file on your computer, so that all connections sent to GameSpy from your computer will instead be sent to GameMaster instead. I believe this only works on Windows 7 and Windows XP, I haven't tested or talked to anyone running Windows 8 about it yet. I'm not sure what the Mac equivalent would be yet either. You will also need admin privileges on your computer to do this. select "show hidden file, folders, and drives"
uncheck "hide file extensions for known types"
also uncheck "hide protected operating system files"
You may get a message saying host registration failed, but the server will just restart (with the black screen again) and you will be able to play without problems afterwards. The black screen may also occur between maps. The makers of GameMaster have been told of the black screen issue and it will most likely be resolved. This same thing would happen when using OpenSpy, and they were able to resolve it with an update. So, I'm confident this is an issue than can be fixed on their end. Regardless hosting a 4-man still works, it just takes a bit longer to start. This guide will be useful to everyone that plays SWBF2 and SWBF1 if the online servers for the game do actually go down on June 30th, 2014. While this may not happen, its important that we are prepared, so that we can spread the word, and continue to play this game forever. Glu mobile (the people who own now own GameSpy after IGN sold it) are the ones responsible for this. From what I've heard, after they acquired GameSpy, Glu increased the costs that developers have to pay to keep the games operational. The players should not be subject to these problems incurred by GameSpy or the decisions made by LucasArts. We will continue to play the game for as long as we wish, and no one will have the power to stop us from enjoying it. Its not actually that complicated. The thing to keep in mind is that GameSpy doesn't actually do much of anything. GameSpy doesn't host our SWBF2 severs, we do. GameSpy does just 4 things for this game, the server list, account creation and login, the buddies list, and the leaderboards. All GameSpy does that's really important is the server list. When you hit square on your PS2 to refresh the server list, it sends a small bit of information, a request, to the GameSpy site, their site then responds with the list. When you put up a server from your computer, there are a few lines of code in the .exe file which tell the server to send its information to GameSpy to be put up on the list. As you can see, its as if GameSpy is a third party, that only manages the connection of two separate things. In fact, if SWBF2 had a direct connect option where you could type in the IP address of the server you would like to join, none of the shutdown would even matter, because we could bypass the GameSpy list. Since we do need the list and GameSpy might be going down soon, we will be using GameMaster to emulate GameSpy. All GameMaster does, is pretend to be GameSpy, and we can access it by changing something on the side of both the players and the hosts. 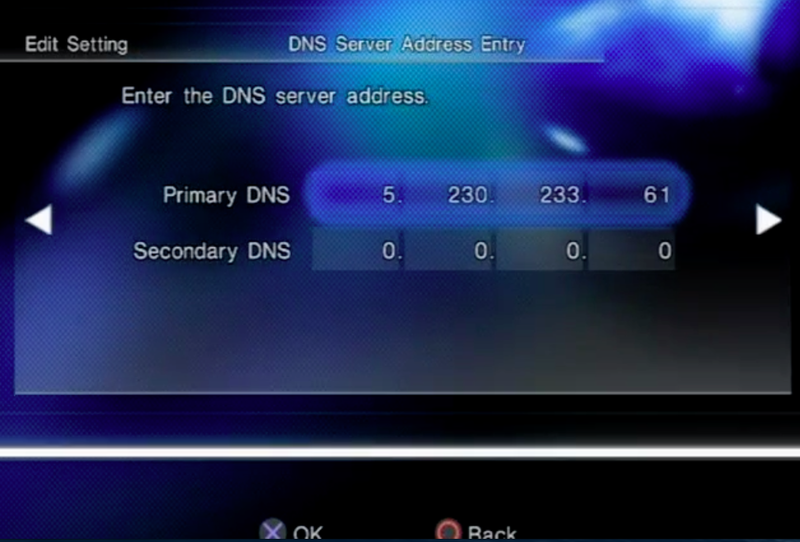 On the player side, when you change your DNS address for your PS2 network options, all you are doing is telling the PS2 to ask GameMaster for the list, instead of asking the default GameSpy. On the other end, changing the file we use to host SWBF2 servers, will allow out servers to be on the GameMaster list. This is done by going into the .exe and replacing all the times where the file says GameSpy, and replacing it with GameMaster. This tells your server to put itself up on the new list, rather than the old one. Since GameSpy doesn't do anything significant related to servers, we are able to emulate them and bypass them. What are the downsides of using this compared the old GameSpy? There aren't very many downsides. We might not be able to use GameSpy login, so we may need to use slightly shorter player names, and refreshing the server list / logging in may take 3-4 seconds longer. The leaderboards won't be viewable, which isn't a big deal because they are a mess anyway. The buddies system won't work. Gameplay wise everything should function exactly the same and this won't affect anyones connection to a server. The only other thing is that we are at the mercy of whoever is running the work-around at the time. So if GameMaster's site or servers go down, we wouldn't be able to see the server list for awhile. I don't think it would be any worse than GameSpy. How did you figure out all of this stuff? Mostly just by talking to many different people, who you'll see on the thank you list. When I found out that the game might go down around the beginning of April, I was very surprised. 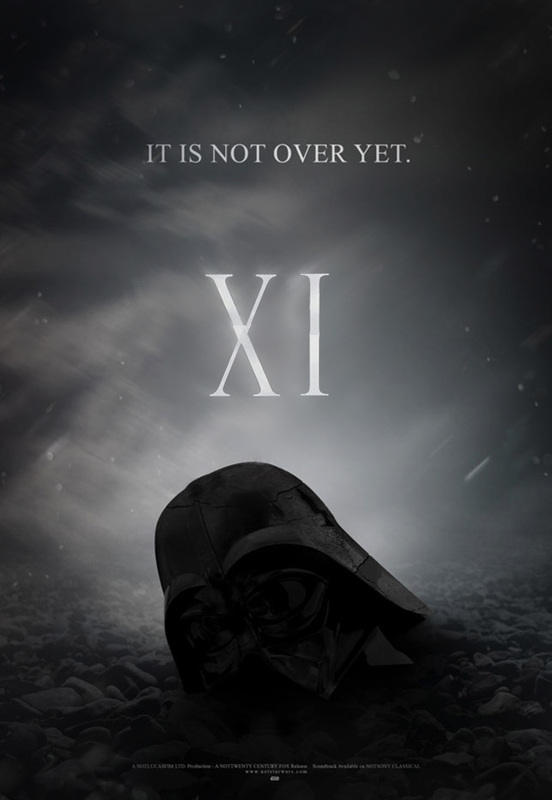 I also decided that it should not go down before SWBF3 comes out. Then I realized that I'm just not okay with developers deciding when its no longer possible for us to play the games they made online, that should be up to the players. Since then I did everything in my power to make sure we would have a way to play this game as long as we still wanted to (I guess we will always have LAN though). All of these are basically non-functional at the moment. But I thought it would be important for me to post all of the information I've gathered about the other work-arounds here so that anyone can have access to it. OpenSpy needs updates but it could potentially work. Their C++ coder has left and they don't have anyone working on updates. I believe it still works for SWBF1 and some other games, but the server list on SWBF2 will not load as of May 1st, 2014. If you know C++, take a look at the github links I posted and you might want to get in contact with them. They are definitely looking for someone. I personally don't know C++ but I know a few friends who have some experience in it. This may be worth getting up and running as a plan B, and its also cool that it works for other games. In theory it functions pretty much the same as GameMaster so it would work fine if it was actually configured for us. Very similar to OpenSpy and GameMaster, just involves a DNS change and the servers being on a new list. The developers are currently uninterested in supporting PS2. I feel like I could convince them otherwise, given that they seem to be misinformed about how many players we have, and that it would be simple to support PS2 if PC compatibility is already up and running. They may not want to put the effort in to configure it on their end. No point in pursuing this for now. Requires additional downloads and lots of extra configuration. Much more involved than simply changing one DNS number. Also requires a different setup of an ethernet cable going first through your computer, and then to your router. Has the potential to work but it needs more people to test it out. Lots of people currently use this to play SOCOM 2. I have no idea what hosting on this would be like, or if anything other than 4-mans would be possible on this. Lan tunneling computer application similar to xlink. Requires additional downloads. May be possible to configure to work with PS2. Computer appilcation, requires additional downloads. Almost certainly won't be compatible with PS2. Thank you Mike and everyone else for all of the hard work in researching this! I personally appreciate it. You guys have really come through this! So it will definitely be possible to host a 24-man server at some point on this? That was my biggest worry with this. Nice work man. So I guess that OpenSpy and FreeGST was a no-go? If I am reading Mike's OP correctly, you already can. At least on your own PC. Though I don't know if Hypernia allows you to change the .exe file, Art of War did not. We might be able to get Hypernia to update it themsevles if GameSpy does ever go down. Mike, when you say that 0=null do you mean that in the hex it should be 00 and show up as blank on the text side or should it be 30 on the hex and show up as 0 on the text? I'm still using xvi32. Which hex editor are you using? OpenSpy is still a potential second option. They are still interested in helping us, its just that they lost their main C++ coder and have not found someone who can update OpenSpy yet. It could still work, we're just waiting on them to update it on their end. Yup, you're right. PC downloaders work right now. Paid for servers I am not sure about yet. I never owned one myself so I need to find out more about how it works first. 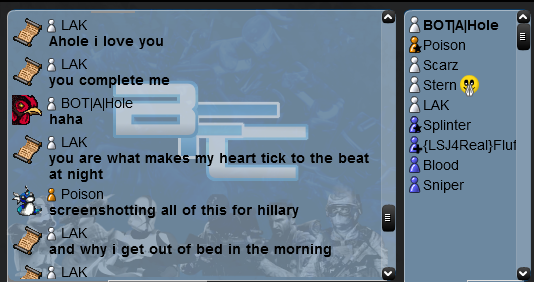 How did people use mods like the .Com server if Art of War they never let us change the .exe? Or is there a different file you mod when dealing with remote manager or something? Uhhhhhh. So here's the thing about that. I didn't do any of the hex editing myself, I was just repeating what Pyrojockey told me after he edited his .exe. While I can get hex editors on my Mac, I don't think they open .exes properly. When I tried to find master.gamespy or anything I would get no results. From my understanding, those 0s are there only to make it so the entire exe is the same length at the end of the process. I think if the string lengths are off it messes with the file. So yes I think I mean it should show up as 00 on the hex editor. I'll need to ask someone with a hex editor to explain it better. Once I get a known perfect version of the .exe I can just link the download here. Bumping this just incase we need it tomorrow. So can we get some confirmation on playing after the shutdown? because the game shutdown and i'm not sure if you guys ever figured it out. This is confirmed working as of today. You can upload this to Hypernia but they will have to "review" the file before they allow the file to be uploaded. Wow danny you must REALLY love this game. So at first everything was alright with gamemaster but when we tried to switch our server (gne) back to ps2 we had to contact hypernia (via ahole); the server should have been up today. On top of that when i looked at the gamemaster site their list of servers do not include any ps2 servers. Now The void and abyss isn't showing up, I'm thinking since its a paid server you would have to contact the server provider so they can switch the files. Since all the servers that are still showing are not paid since they are hosted from their owner's computer. I won't be able to confirm this until our server shows up or not. Sorry for the tripple post but i thought you would like to have the forums for gameshare. The moderators seem to be pretty active so. I guess the alpha for having a login system like gamespy is in alpha. So at first everything was alright with gamemaster but when we tried to switch our server (gne) back to ps2 we had to contact hypernia (via ahole); the server should have been up today. What do you mean switch it back? As in put it on the old GameSpy server list or switch it from PC to PS2? On top of that when i looked at the gamemaster site their list of servers do not include any ps2 servers. Now The void and abyss isn't showing up, I'm thinking since its a paid server you would have to contact the server provider so they can switch the files. Since all the servers that are still showing are not paid since they are hosted from their owner's computer. I won't be able to confirm this until our server shows up or not. I feel like its something to do with Hypernia, I am not sure if they are still gonna let us buy servers from them once payments on these current ones end. There's also a post on the GameMaster site saying there's some maintenance going on, could have to do with that. EDIT: Big good news update I just found this post by a user named CharlieM over on the GameMaster website! An update with good news from Hypernia/Purepings. They are allowing your patch and the FreeGST patch to be used on the SWBF2 servers they rent out. It has been issued as a game update on their server control panel and is a simple dropdown and click fix. Happy gaming all and thanks! Have servers actually switched over to the new master list even though GameSpy still isn't down? GameMaster actually lists all the servers that were running on GameSpy on their list too. If GameSpy keeps their list up, hosts might not need to change anything at this rate, because GameMaster combines the lists into one. But I am not sure who is using the new .exe to host and who's still using the default one. Yeah, we were switching the server from pc to ps2 again; ahole has been talking to them i guess so they finally decided to mod the files and it should be up today. Hopefully it works out. I just changed my DNS and got the test server to show up and I can join it. Will we be having our own GM server? You could always just rent hosting space and run the server on it. Otherwise for a game as old as SWBF2 any modern PC with a high bandwidth connection (50mbs down/20mbs up) should allow the hoster to play and host perfectly fine. Just as good as a paid host.